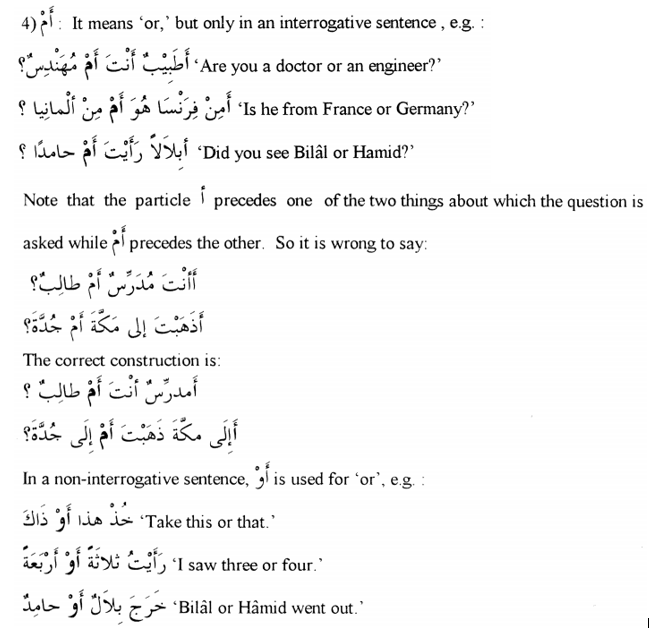 The meaning of the words أَمْ and أَوْ is same and it is “or”. 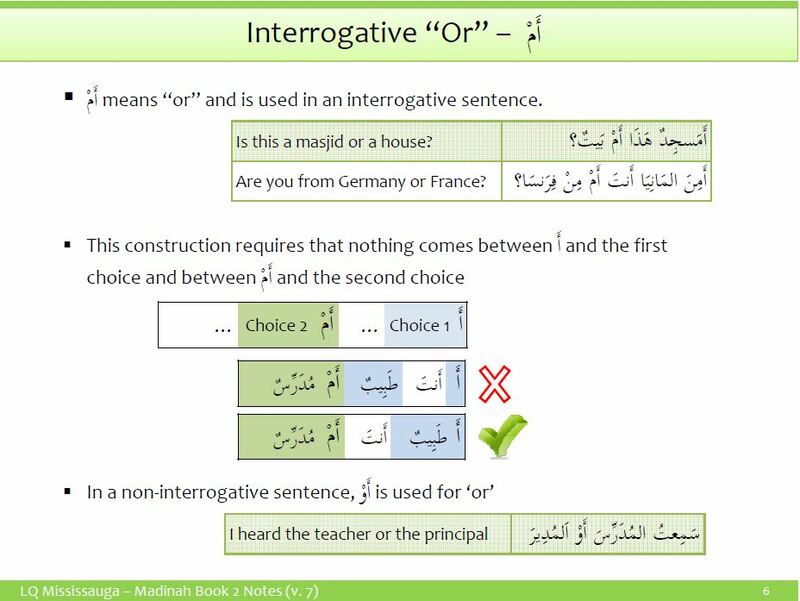 The word أَمْ is used in the interrogative sentences while the word أَوْ is used in the non-interrogative sentences. خَــرَجَ مُــحَــمَّــدٌ أَوْ حَــامِدٌ (Mohammed or Hamid went out). One note is that أَ should precede the first thing in comparison and أَمْ should precede the second thing in comparison. So it is wrong to say أَ أَنْــتَ فِي الْكَهْفِ أَمْ فِي السَّفِيْنَةِ ؟ To understand clearly, it is wrong to write أَنْــتَ immediately after أَ. أَنْــتَ should come after الْــكَــهْــفِ. 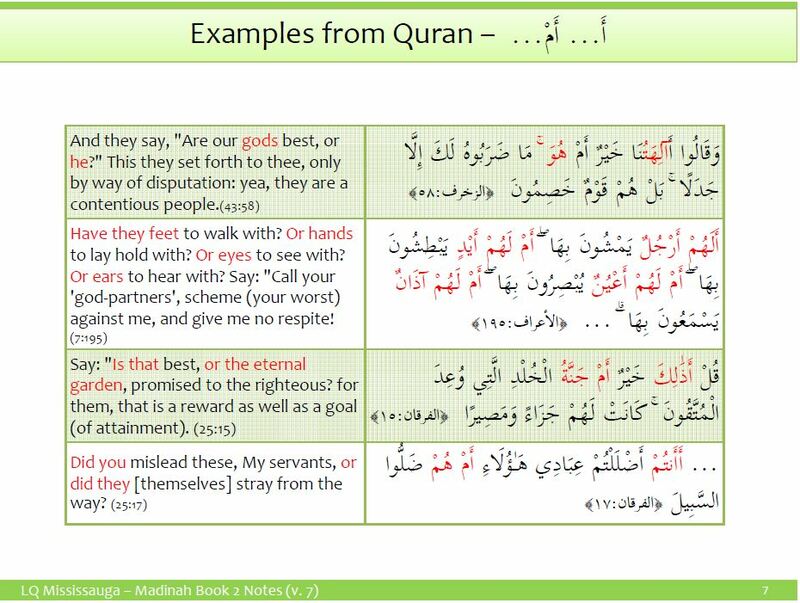 State TRUE or FALSE: Read the verse Quran (18:20). The word أَوْ is present in this verse. State TRUE or FALSE: Read the verse Quran (18:41). The word أَوْ is present in this verse.